I got to a point when I get nauseous when I see these faded photos taken with the Instagram app, reproducing the effect of time on old Polaroid images. Developed by, you know that company that was bought for a ridiculous price by Zuckerberg, the app is omnipresent on social media; I see it especially on Twitter, but there is no escape from it on other networks too. Let’s get things straight, an old, faded Polaroid image is valuable and interesting, because it shows a moment from the past from a unique angle. There are no two Polaroid images the same, because of the specificity of that technology and this makes these images even more special. It’s not the case with the pictures snapped with a phone, they can be shared and reproduced endlessly and in most of the cases the Polaroid effect won’t make them better images. 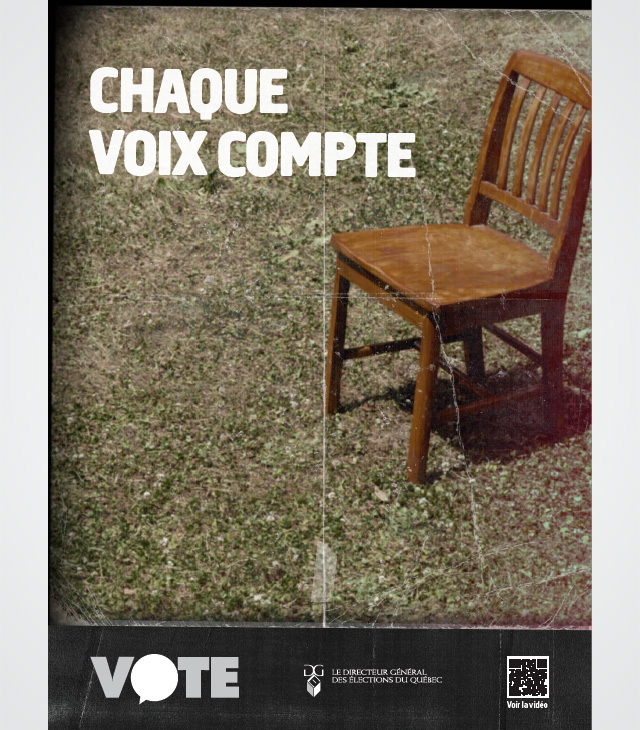 Nous sommes tous pris dans le vortex de cette campagne électorale et cette fois-ci, ce ne sont pas juste les politiciens qui nous fait chier, mais voici le Directeur général des élections aussi nous déprime avec une campagne de publicité dégueu. Je ne sais pas qui ont été les cerveaux illuminés derrière cette campagne. Quels ont été leurs raisonnements? 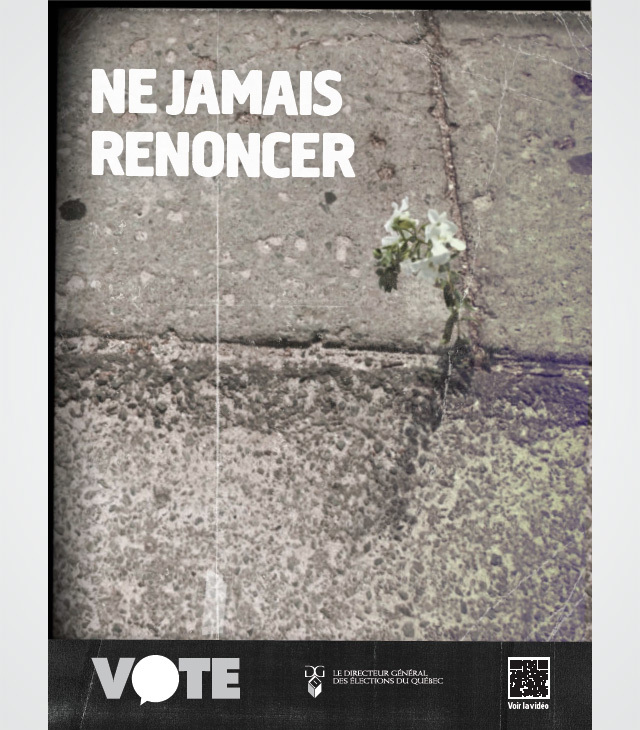 « Nous devrons cibler les jeunes, parce qu’ils ne votent pas. Ben, les jeunes aiment leurs téléphones mobiles, ils aiment prendre des photos stupides et de les poster sur Facebook. Apparemment, il y a un app pour ça, Insta quelque chose, puis, les photos sont tout rétro! Ai-je tort de penser que c’est une campagne déprimante au bout? 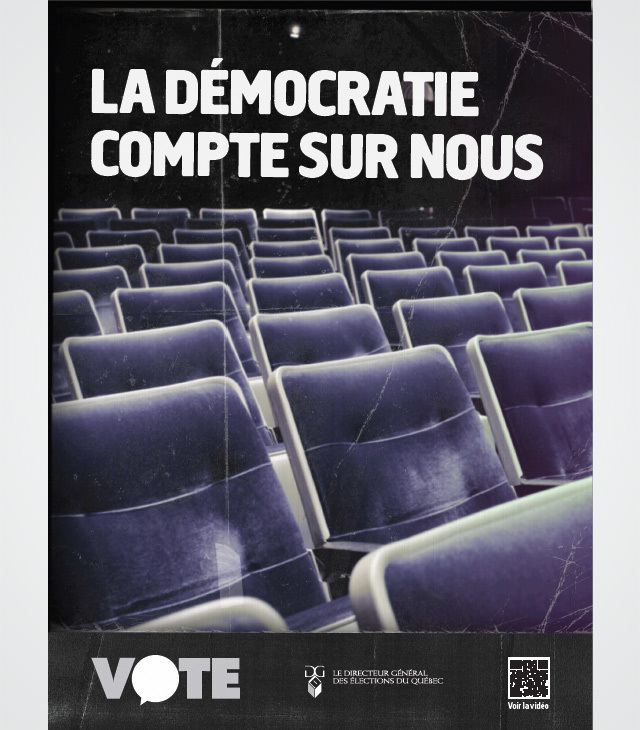 Est-ce que vous vous sentez plus déterminé d’aller voter, grâce à ces affiches? 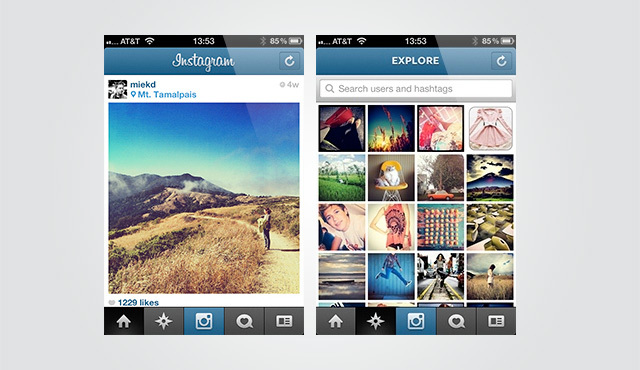 Mobile apps, do you really need them? Apple loves to brag about how many mobile apps are in their App Store, a number that the Android Market is trying to beat. If anyone is taking a closer look at these apps, most of them are just fancy RSS feeds, or a handful of games that are redesigned over and over again with different skins and slightly modified rules. It’s very rare to see an app that takes full advantage of the possibilities the platform offers, most of them will settle for a mobile website, that the user has to download and install. The most striking examples I can find, since I work in the municipal field, are municipal apps. Every week, I get press releases about this and that city releasing mobile apps. A common feature I noticed is that they release an iPhone, an Android and a BlackBerry version so that they get “everyone covered”. These apps are mostly about feeding the latest news and press releases of the city. The companies that are developing these apps are happy to promote this way of distributing news, they get payed three times, every time they sign up a new client. It’s really lucrative, because if the client needs to make a change to the app in order to accommodate new devices, they can charge extra. I’m sure there are other fields too, apart from municipalities, where institutions and companies jump on the app bandwagon. As BlackBerry starts to sink, I wonder how long are institutions and companies willing to invest in BlackBerry app development. With Android, I’m not worried, there are plenty of people out there, that can’t afford Apple products, and there are plenty that can. Still, having to develop separate apps for all these platforms, is just not sustainable. I have nothing against apps, they have their role and strengths. Just as no online photo editor can replace the power, speed and versatility of Photoshop (at least not in the immediate future), so goes for certain mobile applications, no responsive design or HTML5 magic can beat them. Before you go out and spend tax money, or your shareholders money to order a mobile app, make sure that the features you need can only be obtained with an app and you’re not betting on an artificially created tech bubble that will burst sooner, rather than later. Mobile web is getting stronger and stronger and by investing in a mobile/responsive website, you put your money in a product that will be easy to scale, easy to change, in order to keep up with the exponentially increasing number of devices used to access the Internet. 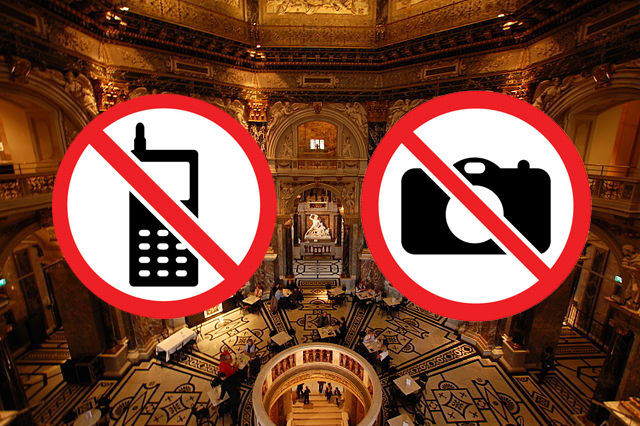 When you visit a museum or a library, often you will get these signs: “No photography” and “No cell phones”. Let’s take a look at their pertinence one by one. Some museums, won’t let their visitors take pictures and they come up with various reasons: people stopping to take pictures might hinder the flow of visitors, the flash could damage the exhibits, or because of copyright constraints. Probably there are other arguments too, but these are the main ones I heard about. As long as people are reasonable and behave in a manner to let others enjoy the exhibition, taking pictures should not be forbidden. By taking a photo, the visitor interacts with the exhibit, that photo will help to process and remember the big quantity of information that she will hopefully get by being there. When it comes to using flash, I totally understand and aprove to tell people to cancel it; the high intensity of the flash light can have negative effects on certain exhibits. To a certain extent, I would also support forbidding photography in certain areas where highly photo sensitive objects are showcased and where organizers don’t want to take the risk that someone will forget to close his flash. For the rest let’s go for it! After all, there are experts that question the danger linked to sporadic use of flash in a gallery. Copyright! Come on… I still have to understand, who seriously thinks that a picture taken by a visitor, will compete with the official image that was taken by a professional in a studio. Let people take pictures, let them share these images with their relatives and friends, because they are doing free publicity for the exhibition and in the end, the organizers and the owner of the artifacts will be glad to have more visitors and more profit if you like. Let’s now enter a library where there is a sign forbidding the use of cell phones. I can imagine the first librarian who got fed up to listening all day long to the Nokia ring tones and she printed out a “No cell phones” sign. In the mean time, phones evolved and I don’t mean that their ringtones are nicer than before, but they can connect to the Internet and help a reader, or why not, the librarian, find more information about a book, or find a library code, on the spot, just by using a smart phone. On top of this, smart phones are also ebook readers. Librarians who use these signs should wake up and better focus on deploying free WiFi in their library and make sure their library has a good collection of ebooks. Do you remember the day when it was cool to have a Flash intro on your home page? All the creative people were trying to outdo each other and to come up with more and more complex animations, spiced up with sound effects and music that would enforce the visitors impression about the owner’s good taste. But than, people started complaining about the background music, and would find it too intrusive. Music got muted by default and sound effects slowly, but steadily disappeared as an accessory for web design. It didn’t took too long to realize, except all the self-absorbed “geniuses” and misguided clients, that Flash intros are a huge waste of time, they are not accessible and have zero SEO value, not to mention the high bounce rates. The other day I clicked a link shared by a friend on Facebook, it was the portfolio of a photographer with a series of images shot in India. It was done with Flash, the fancy way, I could click back and forth, there was even a full screen mode or I could just sit back and let the slideshow play. I did not had a lot of time, I wanted to quickly go trough the images, but I couldn’t. The pictures would appear one after another, with a loading counter between them, but what I wanted to have a general view and not to be forced to wait. Today there are less and less devices that play Flash, even Adobe stopped developing the mobile version, so why put your eggs in a basket that is sinking? Last week I attended a conference/camp about social media and PR for municipal employees. The day past fast, there were quite a few interesting workshops, but what really puzzled me was a workshop about PR during an emergency situation. The presenter is consultant for municipalities in what to do and how to do things during an emergency. He asked us a question, what would we do if we would know that something bad will happen in the next hour, would we tell everything or would we withhold the information from the public? He than gave us an example from his personal experience: during the infamous ice storm of 1998, he was in the emergency management team of a city hall, when they got the news that the city has water for one more hour. What to do? If they tell the public, the water would be finished in five minutes and they feared that chaos will erupt. Finally they have decided not to tell the population, but instead warn different official institutions about the imminent water shortage. Well, his example was an elegant way of telling us, that we were wrong; here it is a good example when withholding an information can result in certain advantages. Somehow I’m still not convinced by his argument. Is it easier to handle a crisis when just a few people know about an imminent situation? For sure it is! Is it the best thing to do? I’m not that sure. I don’t have to go far back in time,let’s just take the example of Fukushima, where authorities have downplayed the danger of the radiation even as the whole World was following it closely. For sure they achieved what they wanted the World is now starting to forget even as radiation is worst than ever. Or we can think of Chernobyl, where the Soviets didn’t tell anyone about the accident. Back to Japan, there was the Toyota, for sure it was way less catastrophic situation, still the management of Toyota preferred to hide under the carpet, or if you prefer, under the floor mat, their problem. What was the thing that they all lost? Credibility! By hiding the truth, you might gain something on short term, like you have water for 45 minutes instead of five, but on the long term you lose credibility. Well, this is my two cents… How about you? What would you do? Would you tell everything? For Hungarians birds are symbolizing freedom. Free as a bird, because a bird can fly anywhere, it can escape Winter, a hunter or hunger. All it has to do, is to open its wings and let the wind take her up, high in the sky. People stopped from their work and looked up on the sky to see the birds fly South as Autumn was settling in. How many of them wished they could escape Winter? How many times they wished they could escape age? Yes, age, because birds never get old, or at least nobody ever saw an old bird. When the snow is melting, the cold silence of the Winter is suddenly replaced by the noisy chirping of birds in love. A noisy and colorful love, a shameless love, a sincere love. Then there is the chicken. The poor thing, for Hungarians is representing ignorance. How else could they could explain that there is a bird that prefers to rout for food in the dirt, and it keeps laying eggs every single day and never tried to learn how to use its wings? We are all born with a bird inside, as we grow up, our bird is itching more and more try out its wings, it wants to fly, it wants to go see the World from the sky, it wants to go South when Winter comes. We are then told that we should tame our bird, we should teach it how to become a chicken, because the chicken is safe, the chicken will never go hungry. How sad, we listen to them, because in our naiveté we believe that their big fat chicken is the most amazing bird. Soon, we forget the sky, we forget the inviting warmth of the South and we start laying eggs every single day. What kind of bird is inside you? Is it a chicken? If yes, would you please start using your wings! You know, the sky is still there. The extent of the damages, caused by the earthquake and tsunami, are slowly being revealed. As I’m writing these lines, the outcome of the Fukushima nuclear power plant failure is uncertain and there are less and less optimistic voices. The reaction of the outside world to all these events is quite different compared to other recent events of this magnitude. Let’s just think back to the tsunami of December 2004, or the more recent earthquakes of Haiti and Chile. The Canadian Red Cross has collected far less money for the Japanese disaster relief than during the Haiti quake. People are hesitant to donate, after all Japan is a rich country, a G7 member and it’s probably the best prepared nation to face earthquakes and tsunamis. There is another factor too that can have a big impact on the donations the Red Cross or other NGOs are receiving, the media with is TV and photo cameras are covering differently this event. While in Haiti the news were filled with images of people in tents, even weeks after the quake every night the evening news was almost entirely all about the victims of the earthquake, the people. In Japan, just few of the images are showing people, mostly focusing on the spectacular shots of the tsunami and the explosions at Fukushima. We won’t see women crying, kids screaming and men rioting, instead we are shown soldiers and rescue workers in uniforms working tirelessly to find survivors, clean up the mess or being busy to sacrifice their own health to cool down melting nuclear reactors. We’ll also see man in suits discussing in Vienna how to handle the PR coup the nuclear industry just got, or finance ministers trying to get back the market to green. When I hear in the news that soldiers at Fukushima had to stop working because the levels of radiation is too high, I wonder where the technological miracle of Japan and the Western World in general is? To what good is to have robots able to play a violin or play soccer if during a nuclear crisis, human beings have to be sacrificed? Where are all the wonder robots, the transformers and remote controlled gadgets? Why can’t we leave music, painting and sports for to humans to do it? These are all activities that need soul, while going close to a melting reactor should be rather left to robots. Why engineers have to work on building drones to kill people, instead of building tools to save lives? Imagine a drone that could be used for aerial firefighting, it could work non stop for days and could go to places you wouldn’t send anyone. I’m sure there are brilliant engineering minds that could come up with many other solutions to build a better World, why are they employed to do the wrong gadgets? 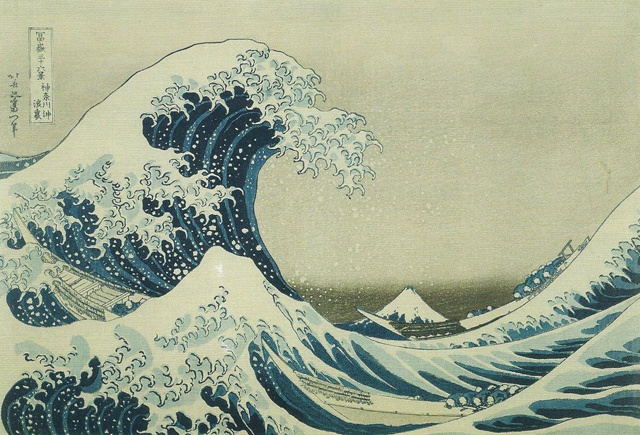 In Japan our entire civilization shook and now it’s melting, so don’t hesitate to do the right thing by helping. In this decision, the Commission determines that usage-based billing rates for an incumbent telephone carrier’s wholesale residential Gateway Access Services or equivalent services, and for an incumbent cable carrier’s third-party Internet access services, are to be established at a discount of 15 percent from the carrier’s comparable usage-based billing rates for its retail Internet services. For you and me, the regular Internet user, it means that there will be a certain limit imposed on how much we can download or upload. If we exceed that, we’ll be charged somewhere between 2$ and 5$/GB. My ISP is Bell Canada and my contract with them stipulates that, I can download 60GB of data. So far, I did not came close to that limit, so why should I worry? I should worry, because the decision does not defines, what should be the minimum limit, meaning that next year Bell can tell me, the limit now is 10GB, take it or leave it. It can also affect the price of long distance telephony, because these days most of it happens online trough VoIP. I never really understood Bell charging so much for long distance, when they could provide VoIP easily, but now they seem to keep going in the opposite direction, instead of introducing a service priced realistically, they are busy destroying their competition. With all these rules, forget Netflix and other products that might appear in the near future. The impact of this decision goes beyond entertainment, it can affect research and even the economy of Canada in general (see Many to suffer from usage-based billing). The good news is that this time online petitioning seems to be working. As of today 357.700 have signed the Stop the Meter petition and the politicians start to react. If you did not signed it yet, I encourage you to do it. Not just the Liberals and the NDP, but according to the latest news even the Government is contemplating to overturn the CRTC decision. I’m tired of hearing that we have to pay way more for cell phones and have slower Internet because of the size of the country. Yes, Canada is the second largest country in the world, but the telecommunication network is far from covering every corner of Canada. It’s a lame excuse, since inhabited areas are not that large and are mostly concentrated in the South, near the border with the US. This afternoon, il capo of CRTC will face the Commons committee, let’s hope reason will triumph over greed. I find it really unfortunate that Google missed out on Buzz, although this time it’s less of a failure that Wave was at the time. Buzz is not working, because the social aspect is not evident, you won’t find your friends on it, unless they are geeks and connecting with strangers is not as straight forward as with Twitter. Undoubtedly Google’s strong point is search, no other company is as accurate and as fast in running queries as Google. While Facebook and Twitter are flourishing and don’t seem to slow down in their expansion, they just don’t seem to know how to fix their search. I really hope 2011 will be the year when all these companies will finally recognize that they are good at some things and for some other things they better let the other do it. There were already some steps taken by Facebook in this direction, when they teamed up with Bing, but there is plenty of work to be sorted out. Twitter – first task, sort out that search for once! What do you mean, I can’t search tweets from last week? Twitter – once the simple things are working, let’s start having some fun features, such as searching someone else’s timeline, or searching by date. Facebook – it would be nice to finally have a News Feed search. Sometimes I know of a link or a video I saw someone posted about a month ago, well, finding that is not an easy task for me and I’m not that popular. If I would have thousands of friends, it would be an unimaginable task to perform. Being able to search our archive of posts on these websites, would make the whole social network experience more meaningful. We’re just shouting, but when we need a relevant information, we need to turn to good “old” Google. What do you hope 2011 will bring in Social Media?